It's the most popular (and most unfortunate) question in digital marketing: Will I have to launch a new website? My answer: "Launch?" Launching a new website suggests scrapping the old and starting fresh, and the first thing any good marketer or design strategist should ask is, "Why in the world would you start over?" Launching your website the first time was hard enough! Some “experts” suggest redesigning your website every 2–3 years. What?!? Not only is that exhausting and time consuming...it’s expensive! There are more practical — and budget-friendly — ways to approach updating your website rather than opting for a complete overhaul. It’s a more measured and iterative approach that focuses on making upgrades in phases — a continuous improvement approach. Besides, is there nothing you want to take from your existing online presence and use on a new website? Not even a screenshot of how bad it looked? When Do You Absolutely Need a Website Overhaul? These days, launching a new website is really only necessary when you're switching platforms — usually the core content management system (CMS) — like moving from Wordpress to HubSpot. Even then, I would argue, you will likely still use a lot of the same, basic content; and it's likely more of a migration to the new CMS than a complete overhaul. Sure, you might want to completely rehash your homepage, and maybe you want to go through a completely new visual structure (opting for parallax design or video backgrounds). But, while each of these things may be some work for a designer, they don’t require a complete redesign. Are the changes we want to make aligned with our buyer personas and their buyer journeys? Are the proposed changes in response to how visitors are using our site now, and are the changes based on data — such as Hotjar or Google Analytics — to ensure the new features more effectively attract and engage our MQLs and SQLs? Are we trying to make a move on rebranding, and how big of a leap are we taking in adjusting our company positioning? Making major updates to your website isn't about what looks nice or how long it's been since your last site was "launched." Everyone's got an opinion, and some of those opinions may be backed by strong personalities, but it's the person who holds the data who holds the real power. For example, if you know your Product page has the most time spent on the page, it must be doing something right. Why fix what isn't broken? Instead, optimize it. Dig deep into the analytics using a heat mapping tool such as Hotjar to view where on the page people are stopping to read, where they're scrolling past, what their mouse is hovering over, etc. Using such analytics can tell you a lot about user behaviors and how to adjust the page accordingly. However, if you find that another high-value page has a high bounce rate, you may want to adopt some of the things you're doing right on your Products page. Set goals to improve the page based on what you want visitors to do — spend more time on page, click a CTA, view a video, etc. Only data can inform those decisions. It's all about engaging your ideal buyers. Yes, you definitely want your site to look great, but we've seen way too many companies spend tens of thousands of dollars on a complete website redesign that looks decent but has abysmal performance. Data must drive every decision. Why Opt for GDD When You Could Launch a Completely New Site? So, imagine this: your company's current website has been in place for the past year or so, and you're legitimately happy with how it looks and functions. You have a blog, some flashy visuals, a nice modern design that's easily navigable for your audience and, best of all, it's easily managed within a CMS. But—it's not performing much better than it did before. What now? The traditional approach is to go back to the drawing board, spending months strategizing (and spending thousands more in up-front costs). But chances are, there are many ways to build upon what you've already started through a GDD approach. With GDD, only the most important content is addressed to optimize SEO, and visitor behaviors are continually evaluated to improve engagement by bits and pieces over time. Instead of forking out another $20,000 or more for a new website, you can budget for a fixed monthly cost to keep your website continually evolving — and improving — over time. These are important, experience-defining changes. They can be done while content stays in place and visitors continue to interact and continue to build your site authority. It's important to realize just how significant your changes can be without having to tear everything down and rebuild. Far too many companies take the approach that everything old is useless, and in order to rebrand, the best is to start fresh and relaunch. But there are plenty of examples of websites where even as core structure changed, the older content stayed present and accessible. It's not only smart from a content attraction standpoint and maintaining established SEO; it's also a powerful way to show your company history, longevity and value. At Weidert Group, there will never be a day when we say our website is "done;" it's continually evolving. We're constantly using data to see how people are engaging with our site and using that information to improve. 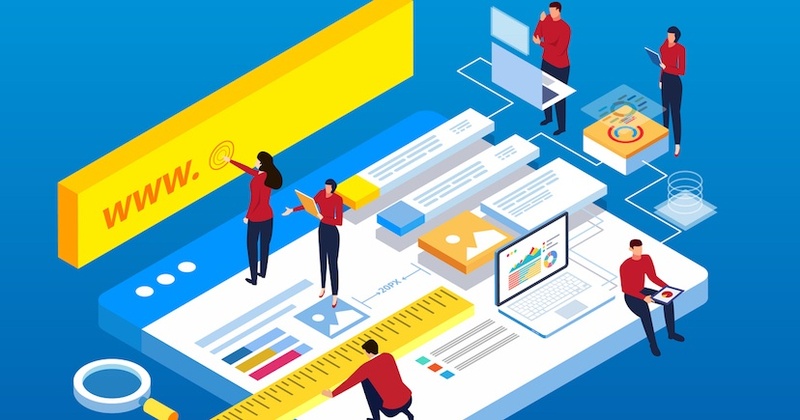 As the name suggests, growth-driven design is focused on growth that is driven by data and designed to create the best user experience possible. Consider adopting a GDD approach to help you reach your engagement goals, increase leads and develop your marketing forecast with more accuracy. Want a real-life example of how GDD worked for one company? Check out the case study below!